Orthotic shoe inserts control the motion between the forefoot and the rear foot, evenly distributing the weight and pressure exerted on the foot. They reduce excessive motion that may occur in certain feet, they can act as a binding force that absorbs strain as pressure is exerted on them, and they can accommodate and cushion painful or injured areas. 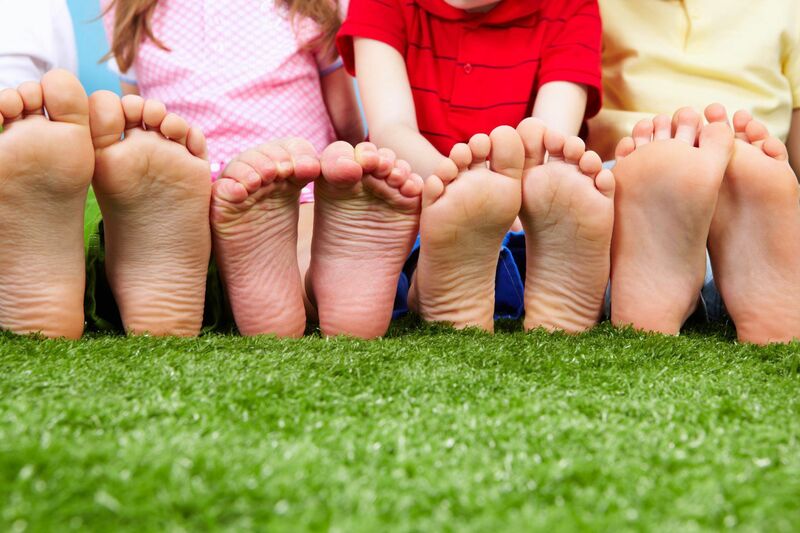 While not everyone needs orthotics, they are a highly successful conservative treatment strategy for certain types of feet and foot conditions. For problems ranging structural deformities, such as bunions, to conditions such as posterior tibial tendonitis, orthotics are an economic way to both treat pain and prevent further injuries. Dr. Wolf''s experience with fitting individuals with orthotics will ensure that you receive the proper treatment. He has found resounding success in prescribing and fitting orthotics to fit a variety of foot types and injuries. The process for getting orthotics takes some time, primarily because we want to make sure that orthotics are right for the health of your feet. A first visit will include a foot examination, as well as an examination of the shoes. The number one cause of foot pain is worn out shoes. Shoes are not made to be worn years at a time, so if you are feeling foot pain, a money and time saving strategy may be just trying new shoes and being sure to replace your shoes every 200-400 miles. After an examination, Dr. Wolf will suggest you try wearing an over-the-counter shoe insert for a couple of weeks. These inserts cost between $35 and $60, and test whether your foot needs a little extra support or more specific support from an orthotic. If pain still occurs, upon the next visit we will tape your foot. The tape, in addition to the over-the-counter shoe inserts, will help to redistribute weight throughout the whole foot, binding it in a way similar to an orthotic. If success occurs and pain is significantly reduced after taping and wearing an insert, Dr. Wolf will most likely suggest you get fitted for a pair of orthotics. Properly made Custom orthotics allow our patients to enjoy their activities without the previously experienced pain. The process of fitting feet for orthotics includes placing your foot in a neutral position and writing an orthotic prescription based on an impression of your foot. The prescription for your orthotics will depend on your foot type, your condition or injury, and the intended purpose of the orthotic. To this effect, there are different kinds of orthotics. Orthotics are mainly grouped into two categories: functional and accommodative. Functional orthotics correct for excessive motion of the foot, preventing pain during ambulation. Accommodative orthotics are used to distribute weight away from a painful or injured area. We will customize your orthotic’s purpose and fit to specific intended activities. They will consider materials used, the rigidity of the device, and the shape of the heel or head depending on the intended use of the orthotics. Your orthotics will work to restore your gait, posture, and to prevent a host of injuries that could be caused by your foot condition. Orthotics last for up to 4-8 years (depending on use), and prevent a host of conditions, from runners knee to lower back pain. They are a highly effective, cost efficient, non-invasive, and incredibly successful treatment technique. It takes 2-3 weeks to work up to wearing an orthotic full time since the adjustments they make with your foot function could cause initial soreness or pain in the feet, ankles, knees, or hips. It takes several months before athletes can run in orthotics comfortably. Be attentive to any pain that may surface in the initial weeks, as adjustments to your orthotics are free under a 6 month warranty with the lab that makes them. Orthotics are only as good as the shoes in which they are inserted, so be sure you are wearing proper footwear that accommodates orthotics. It is important to recognize that worn out shoes will negate the work of the orthotic, and that not all shoes are made to accommodate orthotics, no matter the brand, style or cost. Consult your podiatrist or local shoe store for more information on which shoes are compatible with orthotic devices. Orthotics are only helpful when used, so it is suggested to wear your orthotics continually to reduce pain and to improve your posture and alignment. Most orthotic wearers report never wanting to take their orthotics out of their shoes because they are so comfortable. An orthotic can be used in multiple pairs of shoes. However, many patients purchase more than one pair to use in multiple shoes and shoe styles. Many symptoms, from backaches and general fatigue to painful foot problems such as bunions, calluses and hammer toes, can be directly attributed to collapsed or fallen arches in the foot. A prescription foot orthotic works to lesson or relieve these discomforts by supporting the foot and restoring proper alignment to the joints within the foot. These custom-made medical devices are fabricated from a mold impression of your feet, while holding each foot in its best functioning position. Many different types of orthotics are available to prescribe, depending on your condition and activity. Orthotics may also be prescribed as an alternative to surgery or for use after surgery to help maintain proper foot alignment. Should I wear my orthotics all day? Foot orthotics, like eye glasses, only work when you use them. Orthotics do not permanently change the structure of your foot, but help realign its joints to improve both posture and function. Continuous use of your orthotics is necessary to control or reduce pain and fatigue. Once you are used to them, wearing your orthotics becomes natural and unnoticeable. How do I begin using my orthotics? Your orthotics should feel firm but friendly immediately. We suggest wearing them for two hours the first day, and gradually increasing the wearing time in two hour increments until you can wear them all day. Excessive initial use may result in isolated muscle cramps or joint pain anywhere from the tip of the toe to the hip. The type of shoe wear is an important consideration when selecting an orthotic. Some shoe styles, such as women’s heels, require a special type of orthotic. Your prescribed Orthotic best fits the description of your activities, shoe, and special needs. You may use your orthotics in other similar types of shoes, as long as they have removable insoles, the heels are not excessively worn, and the back of the shoe sits vertically over the heel without distortion. Consult Dr. Wolf if you have questions about the compatibility of your prescribed orthotics with specific shoe style. Often a different pair of orthotics is required for different activities. Can I wear orthotics for athletic activities? Casual athletes may be able to use the same orthotics in both regular and running shoes. Runners and other serious athletes, however, may require an additional pair made specifically to conform to their chosen activity once you are able to wear the devices all day, you can gradually introduce them into your sporting activities. What should I do if my orthotics squeak? Occasionally orthotics will squeak, especially if worn in leather shoes. If this happens, simply remove the orthotics from your shoes and sprinkle in some talcum, anti-fungal, or baby powder. Once the orthotics are reinserted, the squeak should be gone. Sand and soil in your shoes will abrade orthotics and reduce their life. It is recommended that you wash your orthotics every two weeks with mild soap and lukewarm water. Use a paper towel to absorb the surface moisture and allow the devices to dry overnight before reinserting them in your shoes. The expected life of an orthotic can vary greatly from patient to patient depending on his or her foot structure, type of activities, type of orthotic, and the materials used in the device. Re-fabrication may be needed after two or three years, or as many as ten years. We will want to assess your progress and determine when to replace your orthotics. Perspiration and time may change the color and appearance of the top cover. Although this does not affect the function of your device, you may want to have the top covers refurbished at the lab from time to time to keep your orthotics looking fresh.